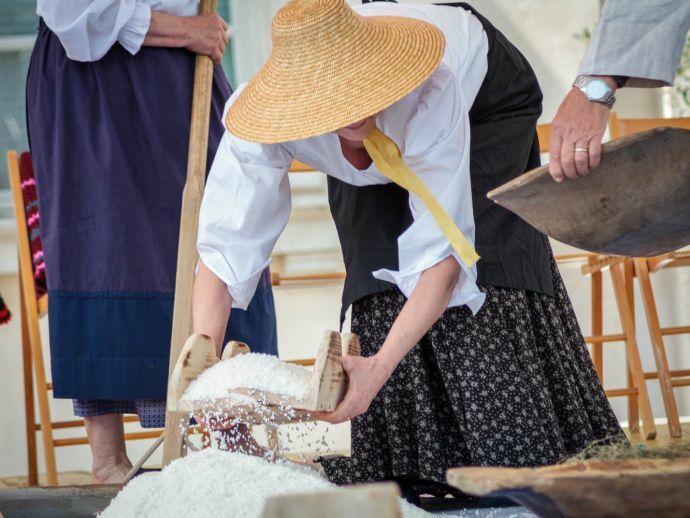 The Saltpans Feast offers a unique journey to the past, dedicated to the 700-year-old tradition of salt production and the everyday life of past times.The feast recreates the everyday life of the past. 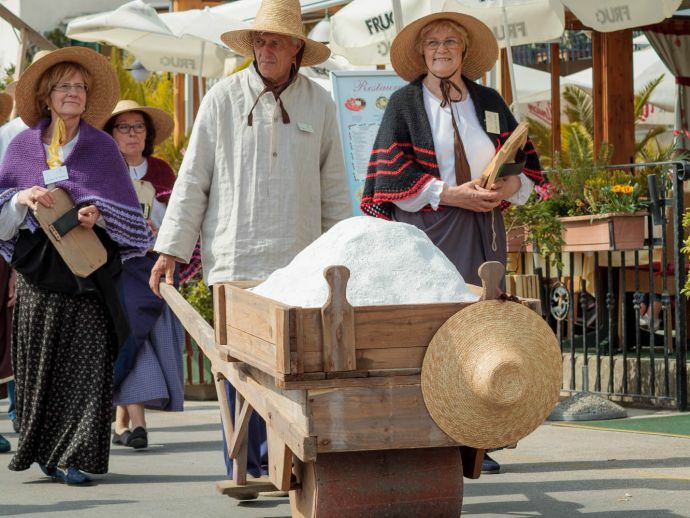 Visitors will be able to learn many interesting and mysterious traditions of salt production, which is over 700 years old and has been a very important source of income for the whole town. 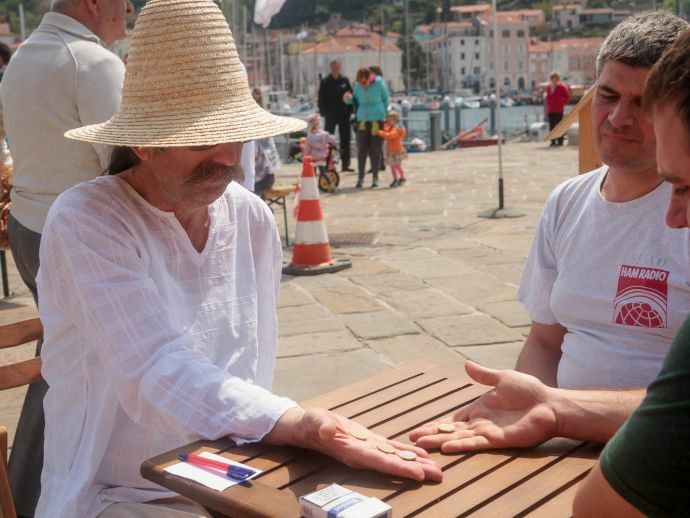 On Tartini Square in Piran you can visit a fair dedicated to salt and other gifts of nature. Local societies, providers of culinary specialties and various artists will be on display at different locations. The fair will be complemented with a rich cultural programme including performances of folklore groups, musicians and presentations of a saltpan family. There will be workshops for children too. 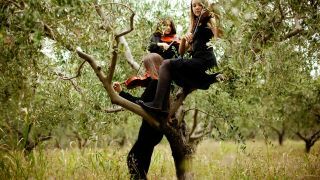 In the Natural park of Sečovlje saltpans there will be many intersting things to see and visit: short films, kids laboratory, exhibition and many more.